Houses & Homes VA: Are You “Credit Invisible”? As you know, having a poor credit history can be a big problem if you are trying to obtain credit for a major purchase such as a car or a home. But did you know that a limited credit history (or no credit history) is just as big a problem as a “bad” credit history? Creditors, such as banks and other lending institutions are looking for a solid payment background when an applicant requests a loan for any reason. They want to see that the applicant has paid other credit debts on time and without missing payments in the past. This is their assurance that they will be paid on time when lending money to a new customer. Without a credit history they have no way to decide if an applicant is a good or bad risk. 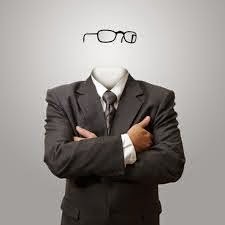 Surprisingly, the CFPB (Consumer Financial Protection Bureau) has published a report stating that 26 million Americans are “credit invisible.” This means that about 1 in every 10 adults do not exist in the records of the nation’s 3 largest credit reporting agencies. In addition about 8% of the adult population in the U.S. (19 million people) has what is known as an “unscored” credit rating. Although they do have some previous credit history, it is not enough to determine an appropriate credit rating for them. There simply isn’t enough credit history to decide if they are credit worthy in the eyes of lenders. For those persons that are looking to buy a home of their own, being credit invisible is a major hurdle. Many people think that as long as they don’t have any negative entries on their credit report that obtaining credit will be easy and do not realize that a “lack of credit” is also a problem. This is yet another reason for home seekers to obtain a pre-approval from their lender before actively searching for their dream home. There are steps that one can take to remedy this situation and the lender may be able to help. Attempting to get approval for a home mortgage without a substantial credit history could prove to be a problem for the more than 45 million Americans that find themselves to be in what some refer to as “credit limbo”.